On April 13, Mr. Paul Aleckson, a teacher at D.C. Everest Senior High, was recognized as the Wisconsin Senior High History Day Teacher of the Year at the State History Day Contest held in Madison, Wisconsin. 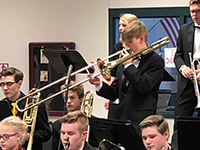 Congratulations to DCE students who were awarded Outstanding Soloist/ Performance Awards at the Shawano Jazz Festival held on March 9. 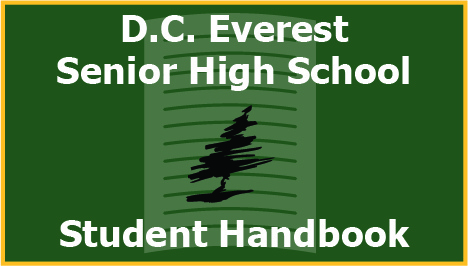 The DC Everest Junior Prom is scheduled for Saturday, April 27, 2019, from 7:00 p.m. until 11:00 p.m. In conjunction with prom, the junior class has begun plans for this year’s Post-Prom Party. The Post-Prom Party will be held at the senior high from 11:30 p.m. until 2:30 a.m. 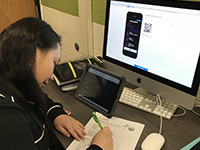 The D.C. Everest (DCE) Senior High has earned the first College Board AP®Computer Science Female Diversity Award for achieving high female representation in AP Computer Science Principles. Schools honored with the AP Computer Science Female Diversity Award have expanded young women’s access in AP Computer Science courses. Out of more than 18,000 secondary schools worldwide that offer AP courses, D.C. Everest Senior High is one of only 685 to accomplish this. 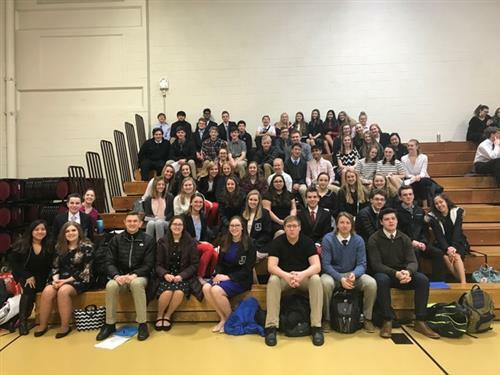 Twenty-three D.C. Everest students have qualified to DECA’s State Career Development Conference this March in Lake Geneva, Wisconsin. 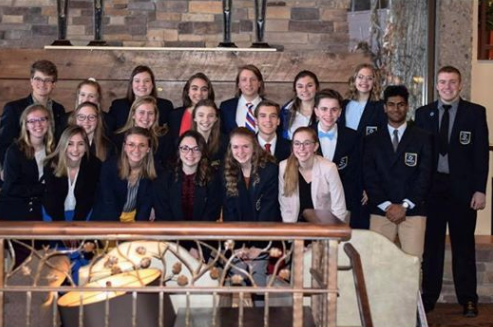 They compete at State to move onto DECA’s International Career Development Conference later this spring in Orlando, Florida. 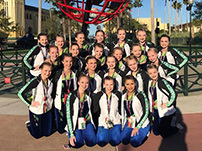 The D.C. Everest Varsity Dance Team earned top-five finishes in four events at the Ashwaubenon Dance Invitation the weekend of December 1- 2. In addition, Janessa Moua placed third — out of 130 competitors — in the varsity solo category. DCE High School students tied 30 blankets for Hardel’s Hope. Hardel’s Hope donates the blankets to patients on extended stays at Aspirus Hospital, kids in the ER and nursing homes. The All-Conference LaCrosse players have been announced. D.C. Everest has three players going for the second year straight! The D.C. Everest FFA Horse Evaluation team earned top honors in the State Career Development Event Contest. 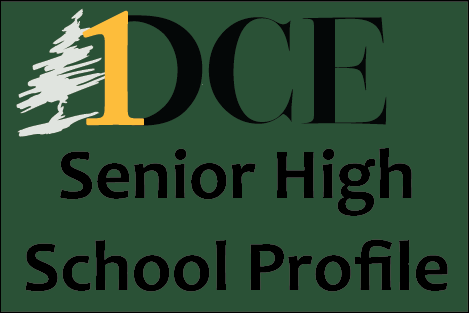 Brad Seeley, a social studies instructor at the D.C. Everest (DCE) Senior High, is a well-known figure at the school. Not simply for his enthusiasm in the classroom, but for his unique approach to history. “Brad doesn’t treat history as a linear timeline of events. 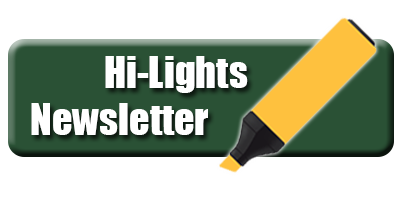 At the Sixth Annual Northcentral Technical College SkillsUSA Regional, students competed in a variety of events ranging from electrical construction wiring and precision machining technology to technical drafting, team engineering and welding. Their hard work, collaboration, athleticism and determination have led to a successful season. Congratulations to Laney Hughes and Liane Kee for being named National Merit Finalists. 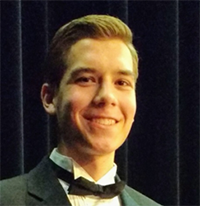 D.C. Everest High School junior David Pickar won first place in the University of Wisconsin -Manitowoc Lakeshore Wind Ensemble Association's 27th Young Artist Competition. He will receive a $1500 scholarship award and a solo performance with the Lakeshore Wind Ensample at its March 3, 2018 concert held at the Capitol Civic Center in Manitowoc. Just a reminder to turn your Forevergreen Cards into the front office. The prizes are Briq’s Gift Card, Prom Ticket, and Privileged Parking. The drawing is today. Attention all Mr. Hanke students going on the field trip Monday, we will meet in front of building at 7 AM to head to Neenah. Next week Wednesday, April 24thNTC will be having their Commit to College event from 5-7 PM for current juniors and seniors. This event is an open house where students can connect with faculty, learn more about NTC programs, tour Timberwolf Suites, and receive financial aid information. Also, they will be waiving the $30 application fee. Rainbow's End is looking for volunteers to fill positions for camp counselors. Rainbow's End is a summer camp for children who due to physical and or emotional challenges have limited opportunities to interact with their peers in a safe competition free environment that is fun and inspires creativity and self-confidence. If you are interested in improving the lives of others and yourself please consider applying. You can apply online at Aspirus.org/Volunteersor stop by Student Services for an application. Auditions for the 2019 Variety Show will take place on Monday, April 29. Sign up for an audition time in the choir room or see Mrs. Bates if you have any questions. Prom tickets are $30 and can be purchased during lunch or after school in the concession stand. 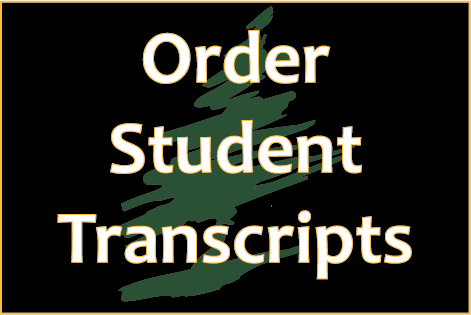 Be sure you have a dance permission form on file. Purchase early and get a free photo keychain! Boys Golf travels to Wautoma at 2 p.m.
Now please stand for the Pledge.